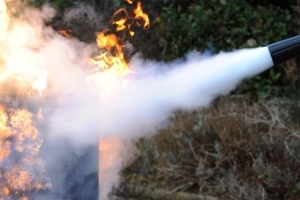 A one hour course ideally suited where there are large numbers of staff to be trained on the practical use of fire extinguishers. A number of these courses can be held on the same day allowing large numbers of staff to be trained. 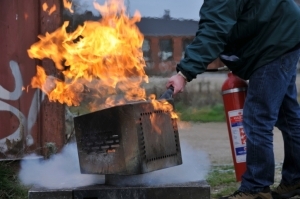 All delegates will be given the opportunity to use a fire extinguisher on a live controlled fire using a variety of extinguishers under expert guidance. The following fires are demonstrated. Class A fires involving solid materials such as wood, paper, fabric. 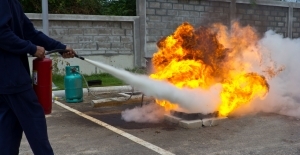 Class B flammable liquid fires involving petrol and oil and electrical associated fires. Fires are simulated using or environmentally friendly fire demonstration equipment. 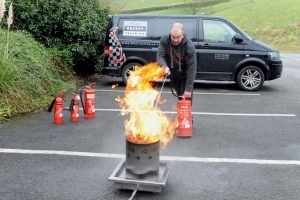 This course is purely 'hands on' training with fire extinguishers and should only be chosen if prior training as detailed above has been given. 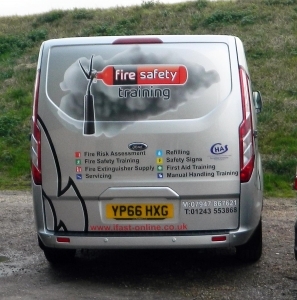 The practical session is the same one has featured on our Fire Safety Awareness and Fire Warden Courses.